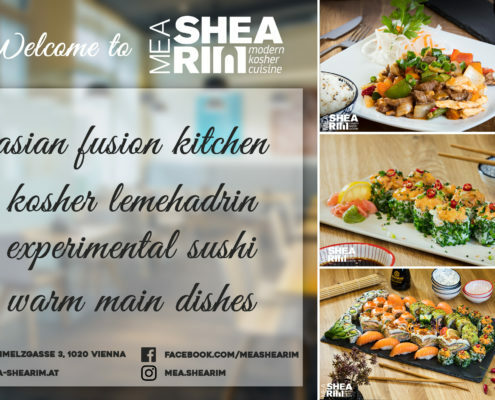 The team at MEA SHEARIM welcomes you at their kosher restaurant! 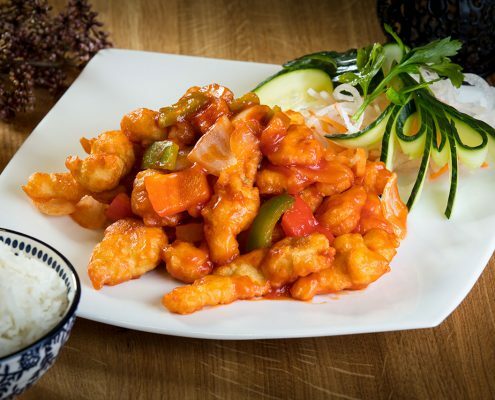 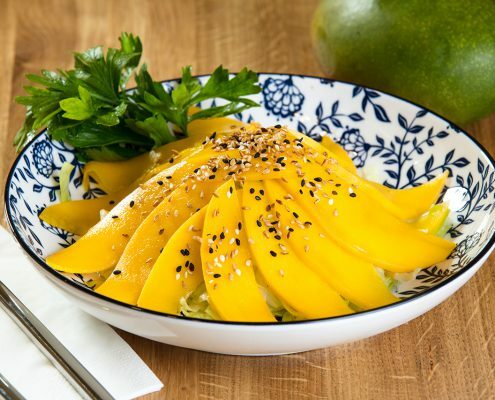 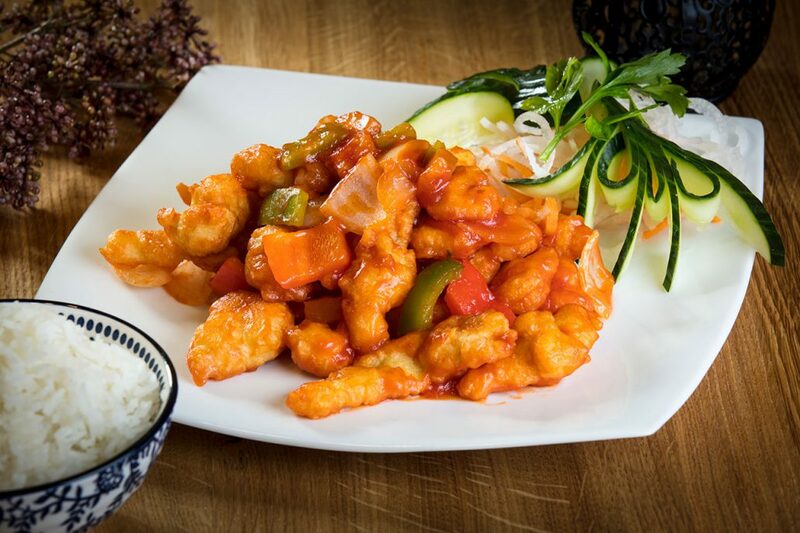 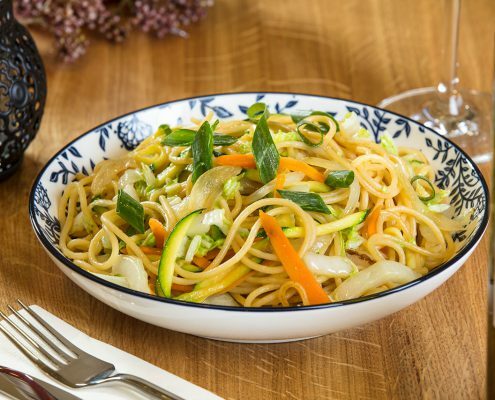 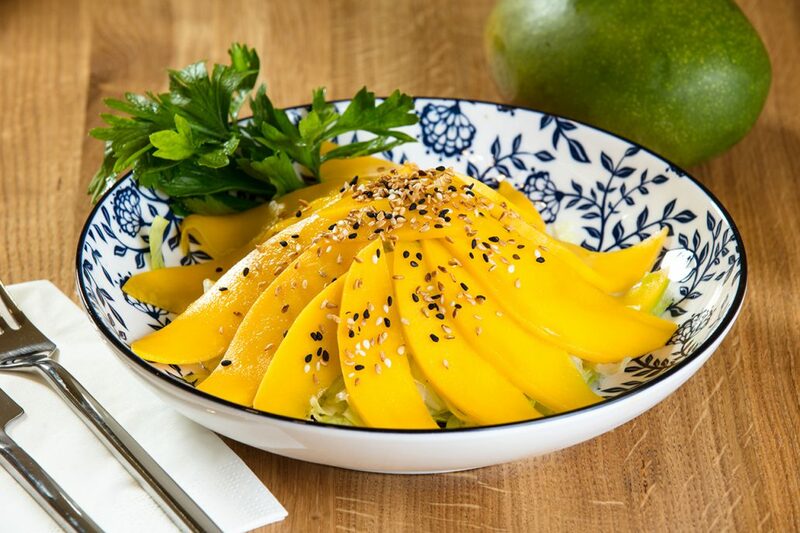 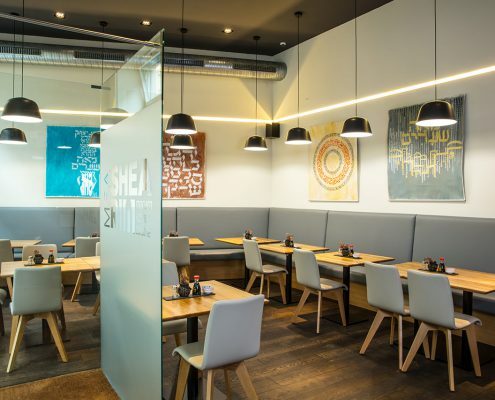 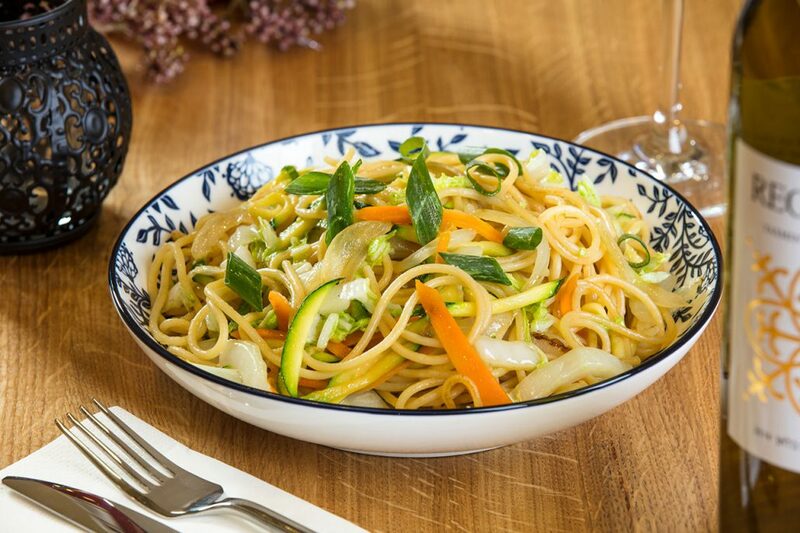 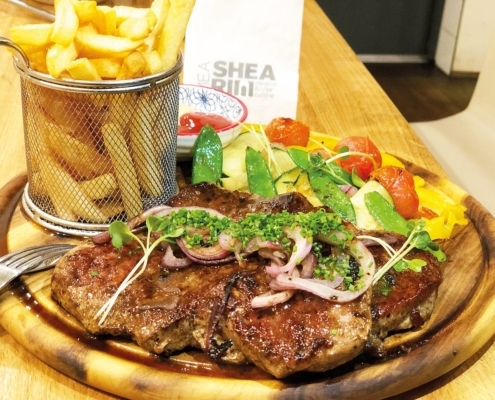 MEA SHEARIM offers a wide selection of european, middle eastern and asian dishes, thus leaving no wishes unfulfilled. 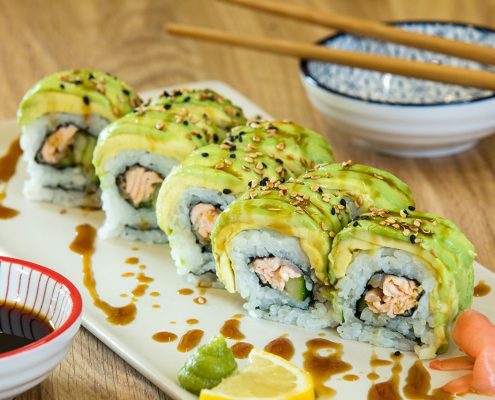 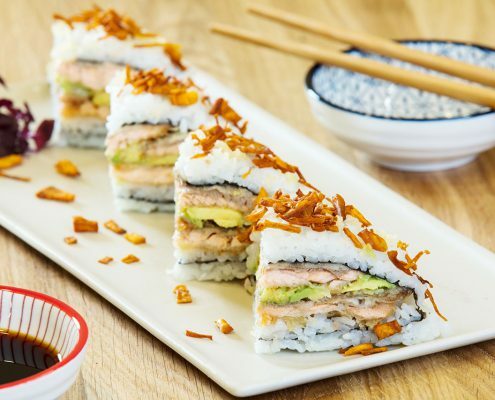 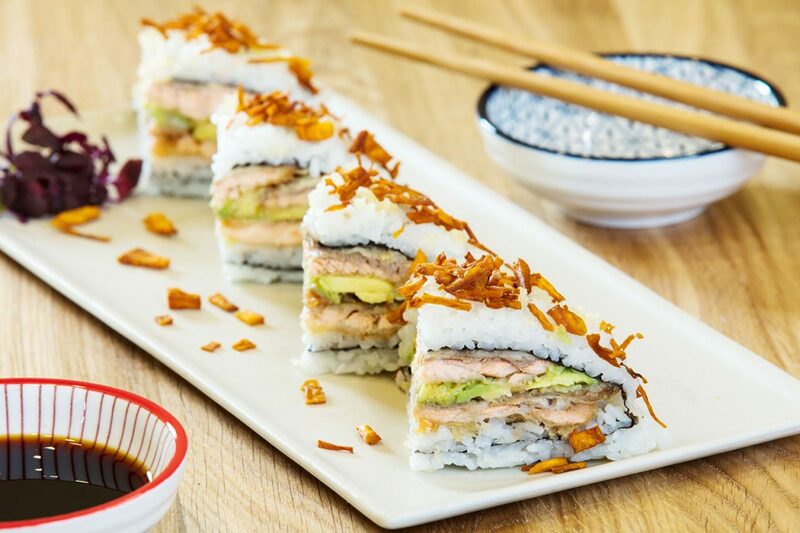 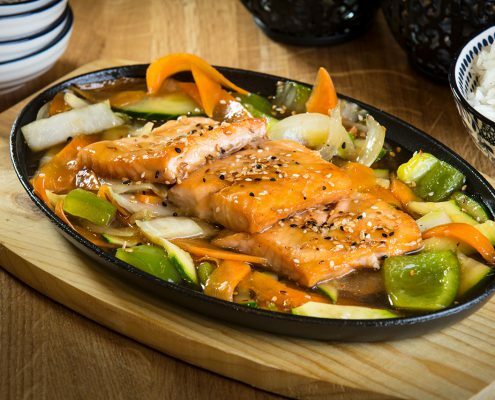 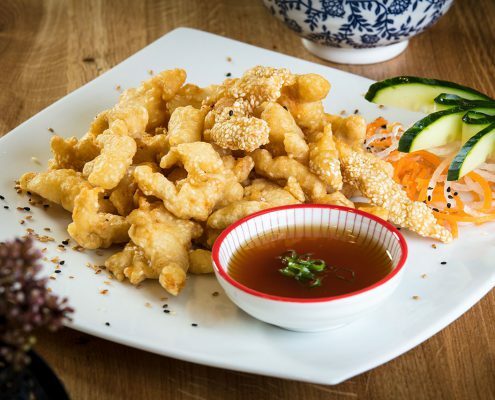 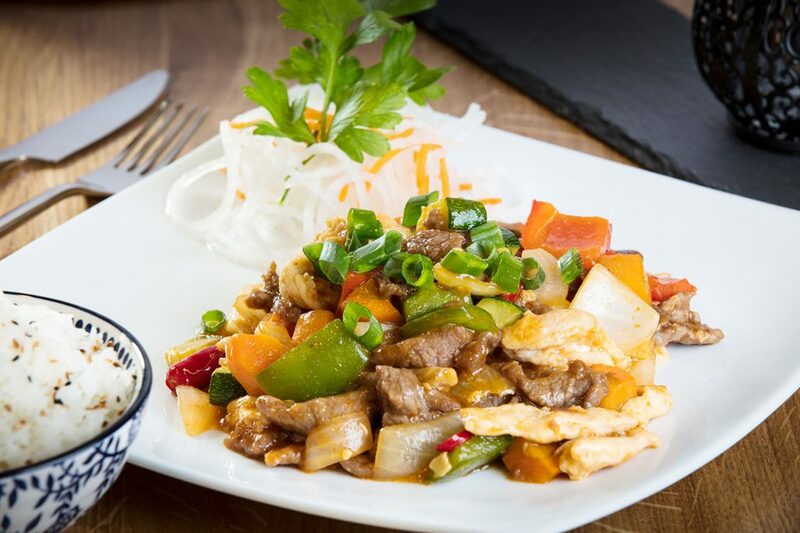 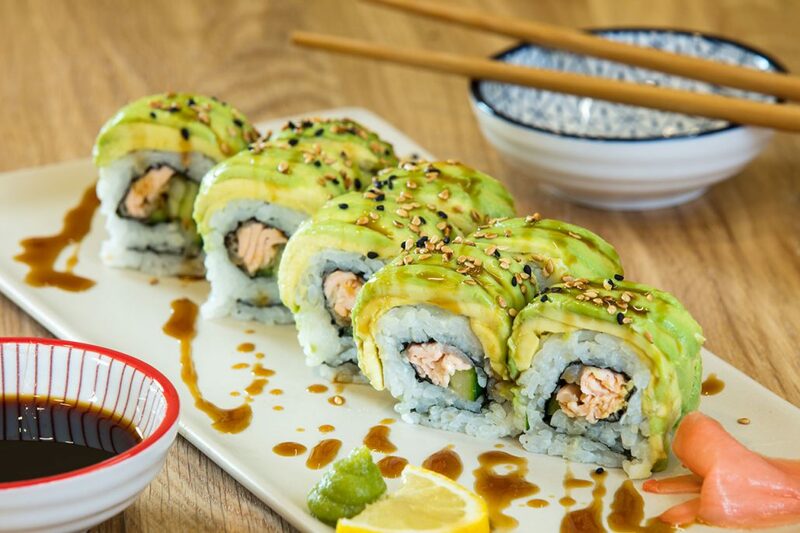 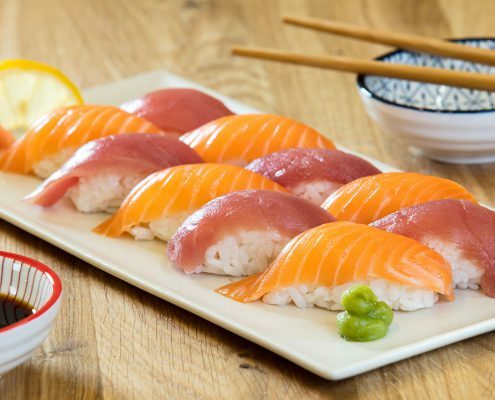 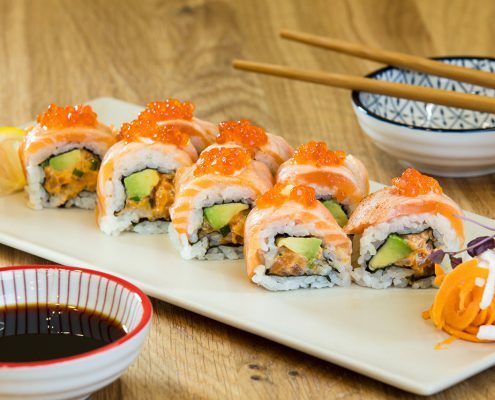 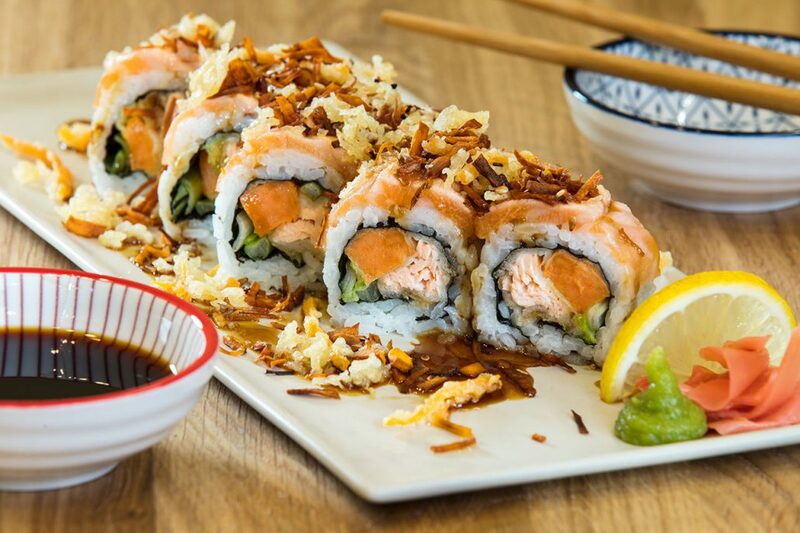 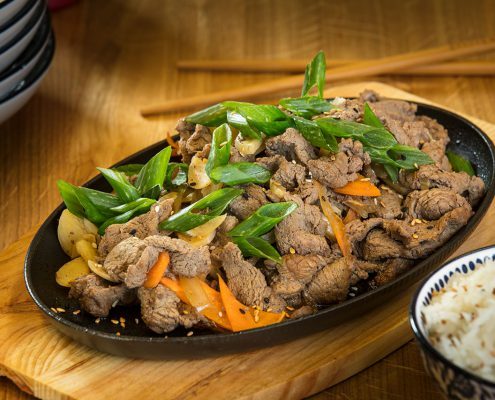 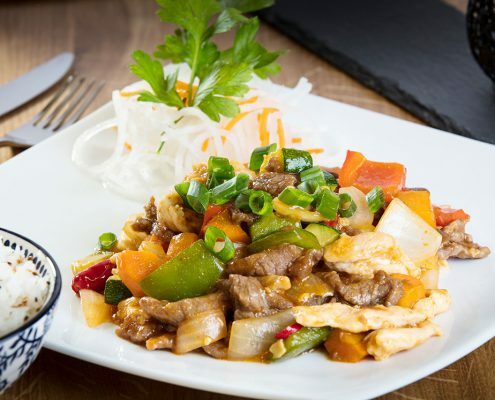 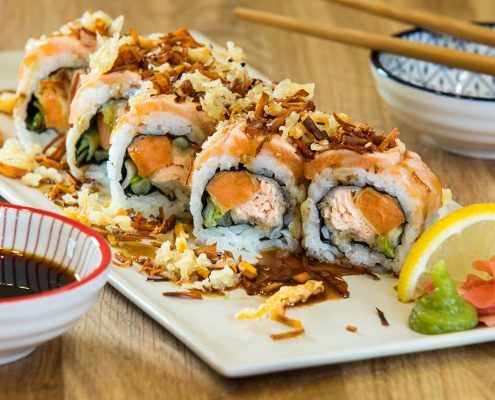 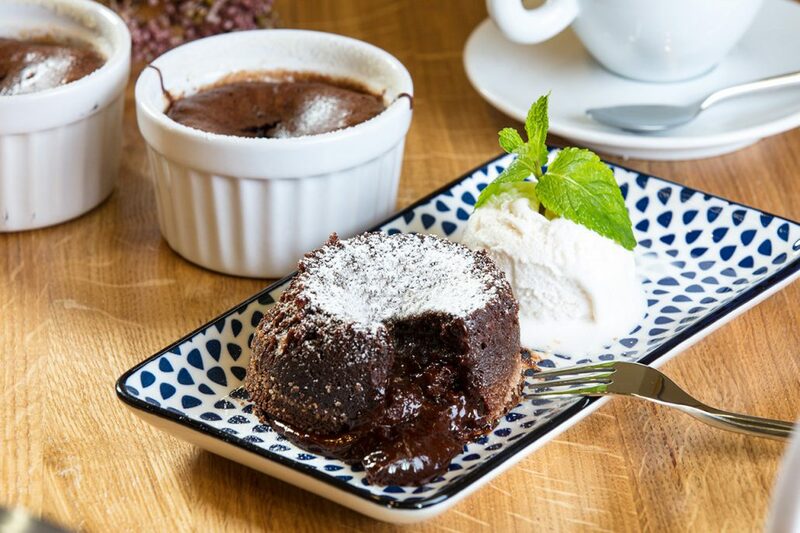 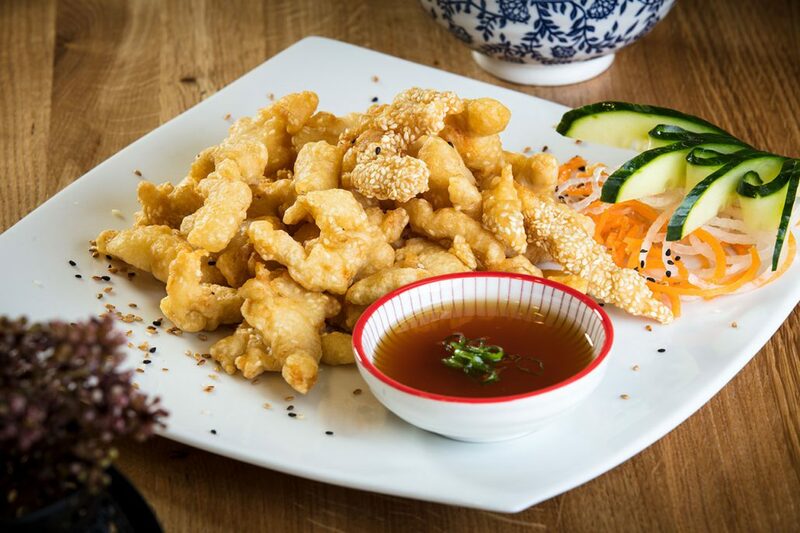 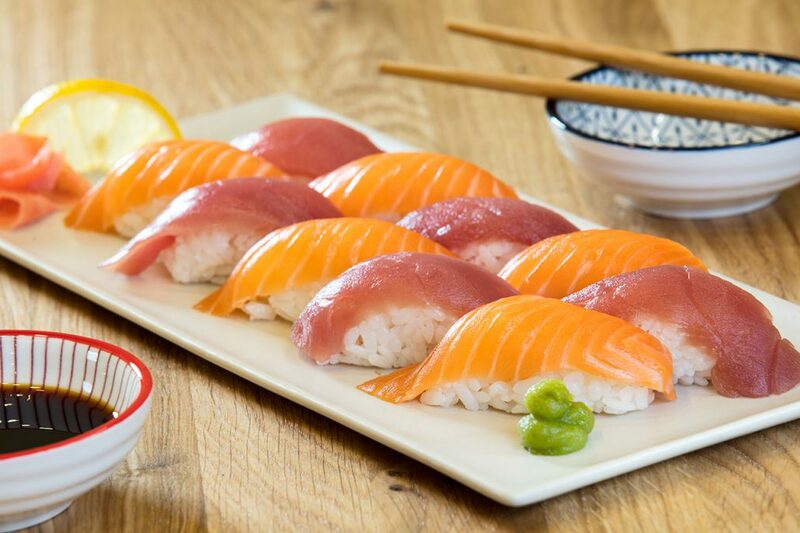 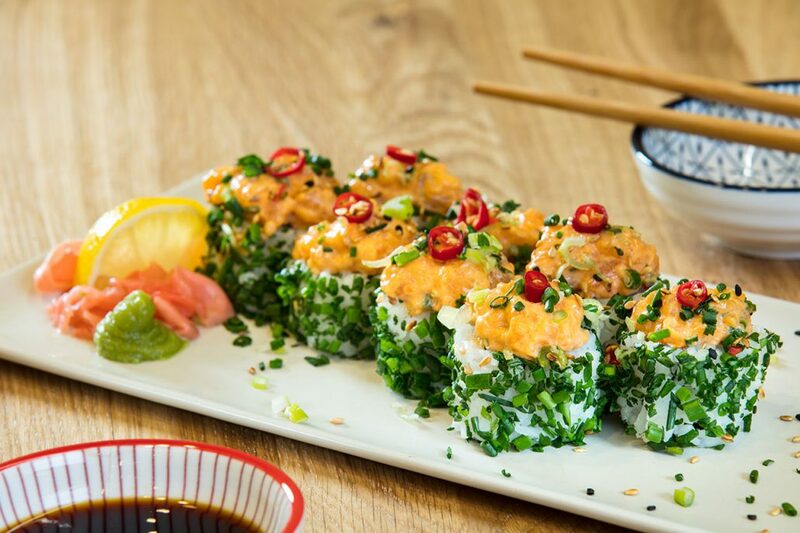 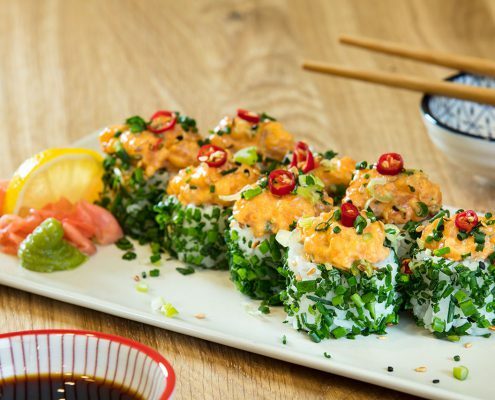 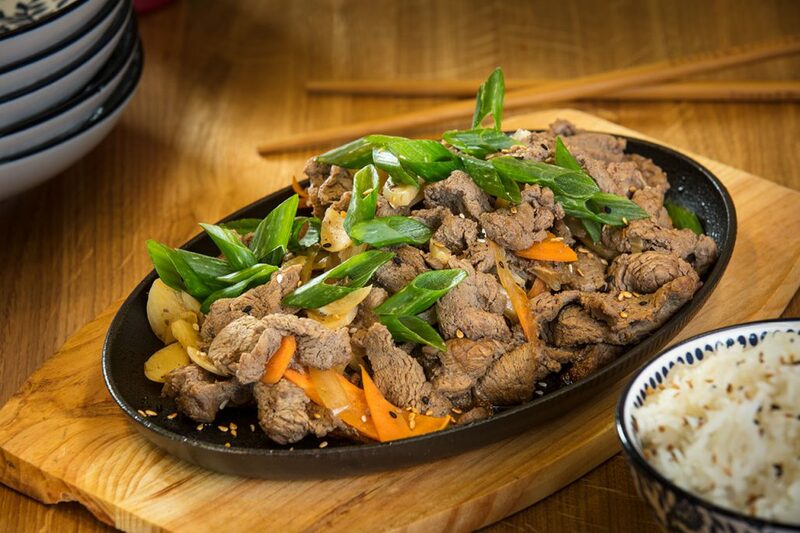 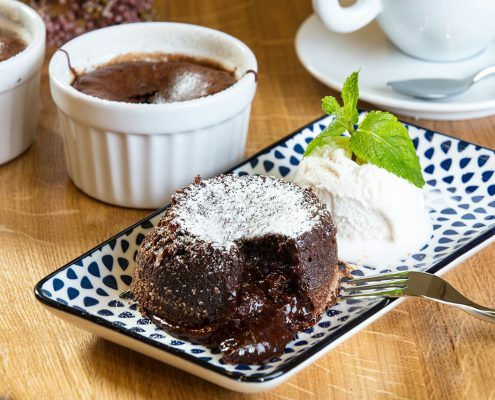 Our menu ranges from juicy kosher stakes and lamb chops to a variety of kosher creative sushi and rolls, fresh nigiri and delicious asian dishes. 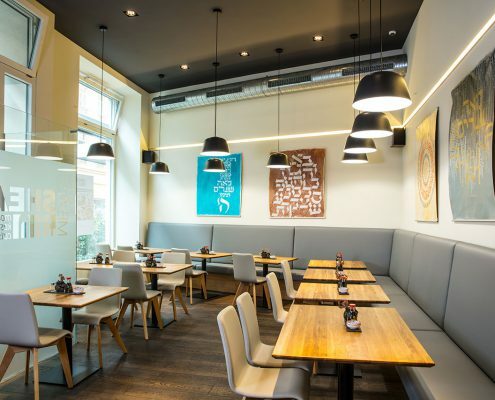 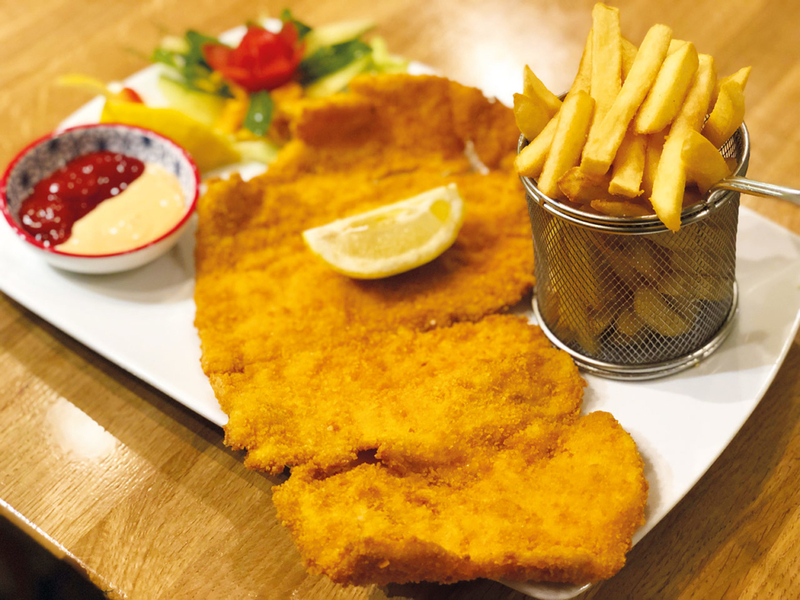 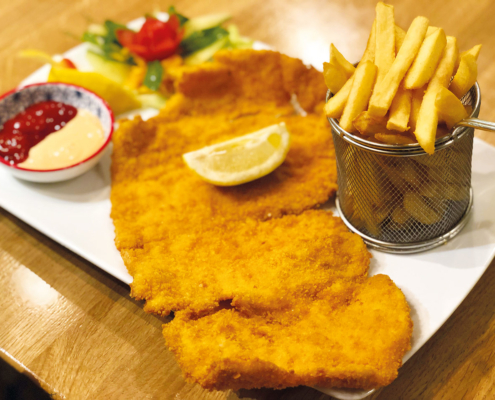 A traditional kosher viennese Schnitzel and homemade Apfelstrudel should not be missed in our restaurant, which is located in the heart of the Karmeliterviertel. 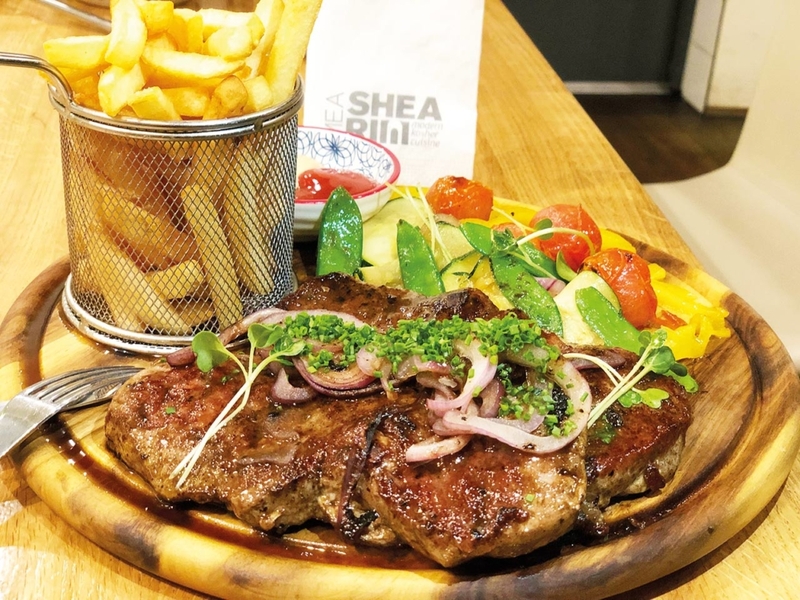 The ‘Kashrut’, given by rabbi Benjmanin Aminov, is our highest priority. 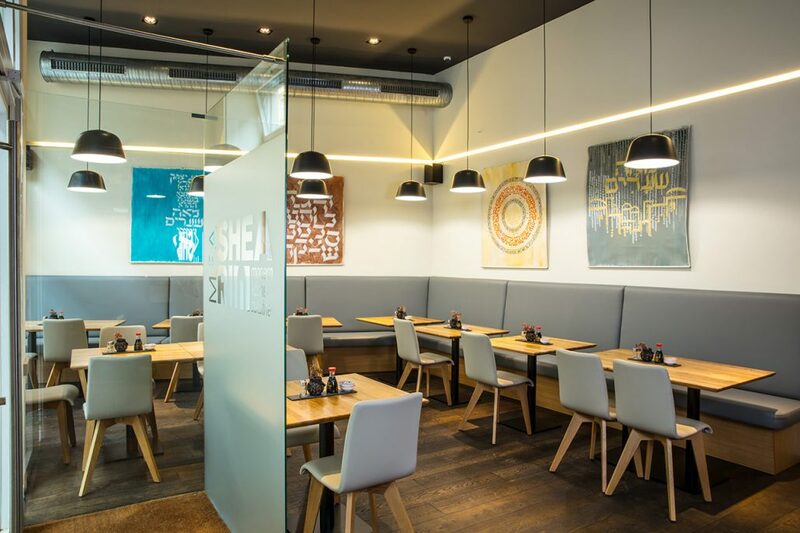 All our food is constantly supervised and monitored to the highest kashrut standards. 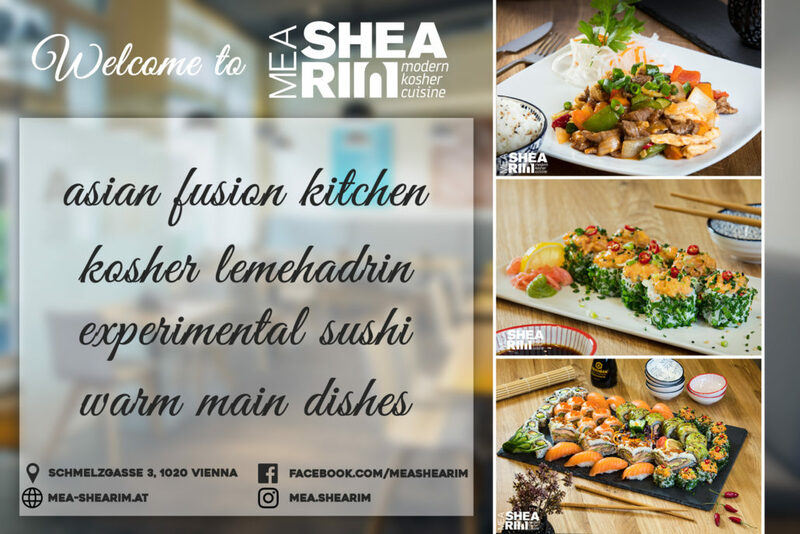 At MEA SHEARIM you will experience a great ambience with pleasant background music and a well equipped bar with an exquisite selection of kosher wines, homemade summer spritzer, lemonades and cocktails. 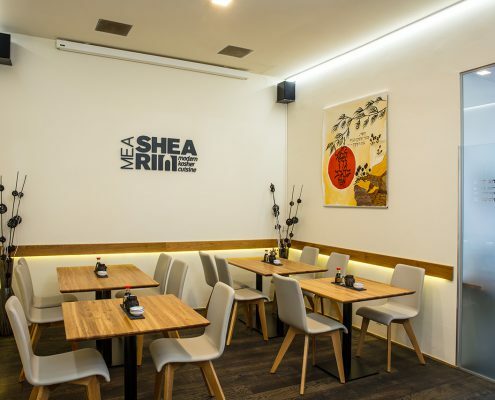 In addition to that, MEA SHEARIM offers a catering service for up to 200 people. 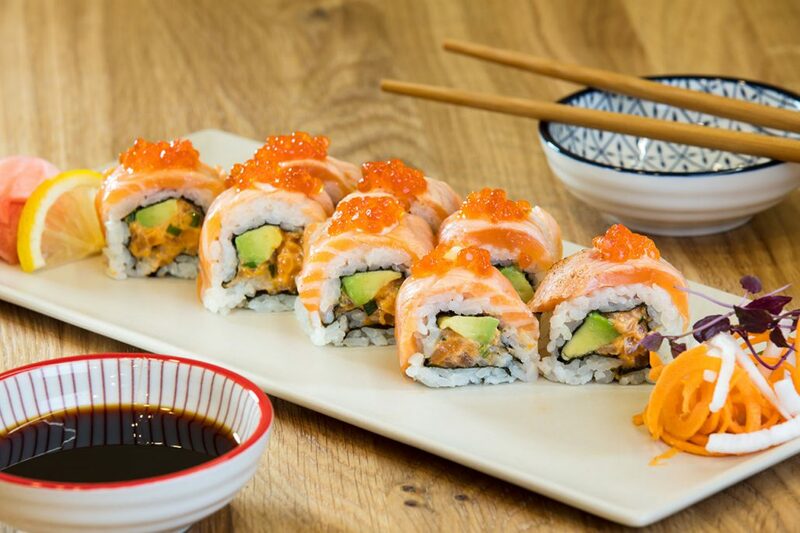 For private events such as birthday celebrations, business events etc. 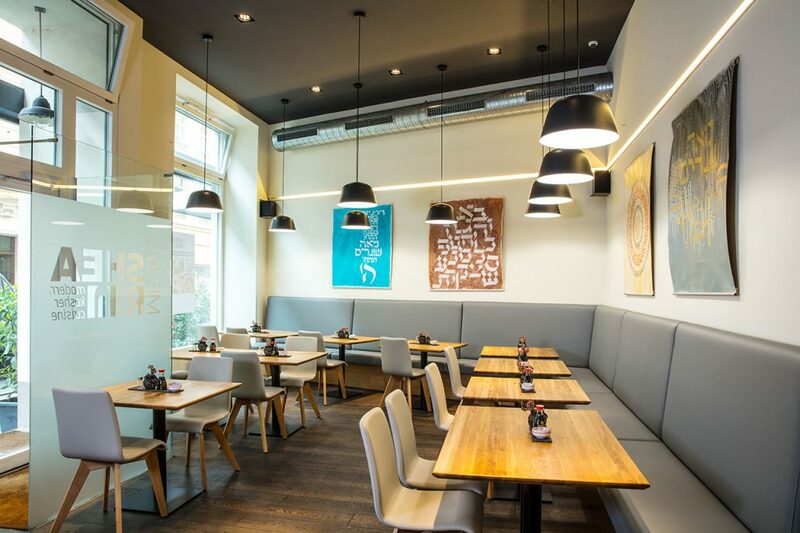 we gladly provide you with our premises for 30 to 60 people. 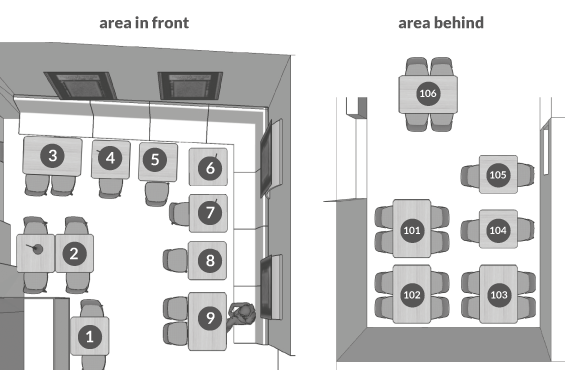 In order to offer the best possible service our rooms are also equipped with a projector. 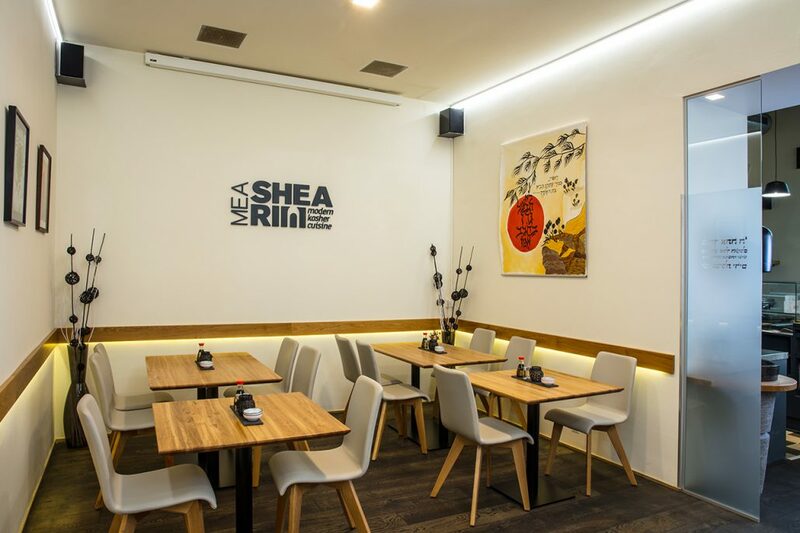 Our team will gladly assist and advise you personally to ensure your event meets your expectations. 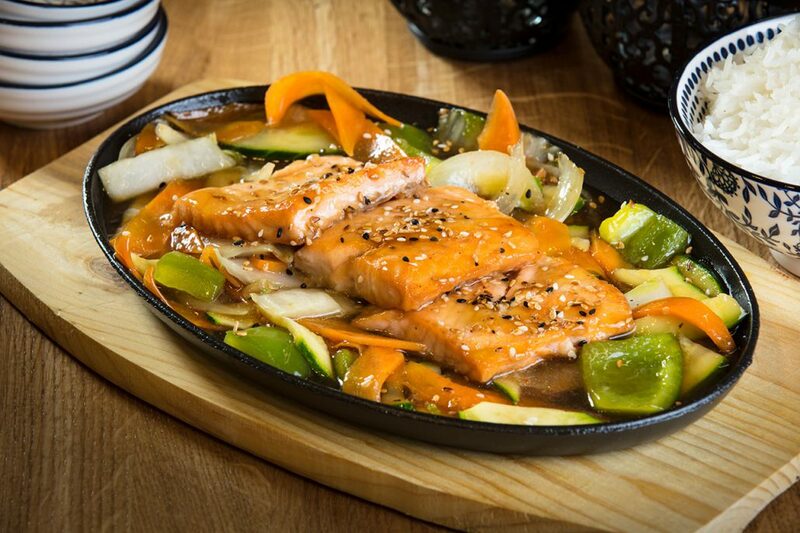 Please be advised that only confirmed reservations are booked at our restaurant.